When it comes to cancer, an ounce of prevention is worth a pound of cure. Cancer can infect almost any system of the body, from our skin to our bones and everything in between. Causes of cancer are either biological factors that we can’t control, like our genes, or environmental factors that we can control, like the amount of solar radiation that we expose ourselves to. Of the environmental risks, one that affects us on a daily basis is the food that we eat. In a society of better living through chemistry, we are ingesting chemicals that are harmful. Chemicals that are in our diet are an environmental exposure that we can eliminate as a risk factor for cancer. 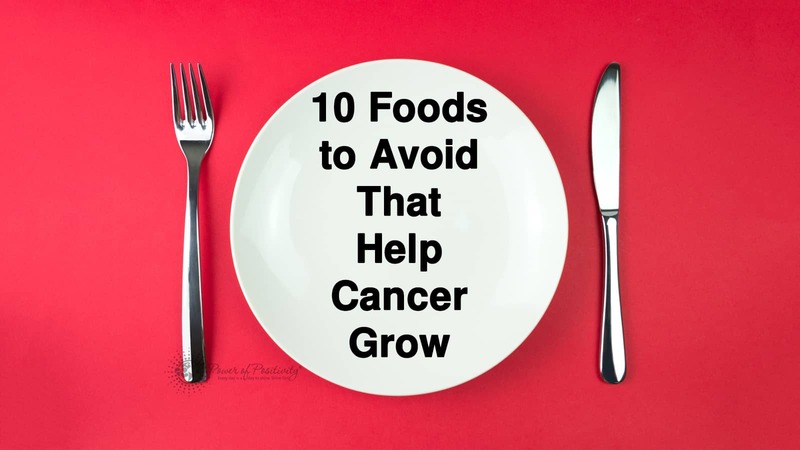 Avoid the following 10 cancer-causing food additives and treatments to reduce your risk of cancer. BPA is an endocrine disruptor and according to the study, it ‘has been linked with cardiovascular disease, diabetes, and obesity in humans.’ In another study, BPA was also been linked to breast cancer. In a study of workers who were exposed to ethylene oxide, researchers found an increased risk of malignancy in individuals with extended and intermittent exposure to low concentrations of ethylene oxide. At the grocery store, look for organic produce and avoid unnecessary exposure to these possible causes of cancer. Some food additives, such as propyl gallate and 4-hexylresorcinol are xenoestrogenic substances, meaning that they affect estrogen receptors in the body. These hormone disruptors are associated with a higher risk of breast cancer. When you buy a microwave dinner, the plastic tray that it comes in is designed to withstand the heat of your appliance. However, plastic packaging that gets heated can release plastic into the food that you consume. Some may contain BPA which we have already listed has a connection to cancer. Microwave meals also often contain preservatives and additives to enhance their appearance. Steam your own broccoli on the stovetop rather than buying the convenient microwave steam package and avoid the heated plastic. The Cancer Treatment Centers of America says that ‘During the process of cooking certain meats, sodium nitrites combine with naturally present amines in the meat to form carcinogenic N-nitroso compounds. When ingested, these compounds are associated with cancer.’ Consumption of processed meat was linked to increased pancreatic cancer risk in one study and other research has suggested links between hot dogs and brain cancer. Consumers are demanding organic milk that does not come from cows who were given rBGH. You can find rGBH-free milk by reading labels. When it comes to this avoidable additive to your food supply, it may be best to avoid it altogether. Meat, poultry and eggs can all be irradiated foods. A study found that irradiated food that contained fat produced a compound that caused DNA damage when applied to both rats and human colon cells. The FDA requires irradiated food to be labeled with ‘treated with radiation’ so avoid foods with this on the label. Fast food is not good food for us. The cancer risks at chain restaurants include charred meat, high temperatures applied to oils, preservatives, and mass produced food treated with hormones and pesticides. Acrylamide is known to cause cancer by damaging DNA. This substance is produced when starchy foods are heated to high temperatures, and is found in foods such as potato chips and French fries. According to cancer.gov, we can avoid acrylamide in our food by boiling potatoes, reducing cooking time, blanching them before boiling or drying them in a hot oven after frying. The low calorie chemicals that mimic the sweetness of natural sugar have been controversial. Aspartame had mixed results with lab rats but has been deemed safe for human consumption. Even if a small percentage of a very small animal got cancer when it received a dose of the stuff, is it something that you really need to be consuming?